The Eswatini Economic Policy Analysis and Research Centre (ESEPARC) has relocated to a new office building to accommodate the rapid growth in the think tank’s operations and future expansion plans, as per the Centre’s forward-looking strategic direction. 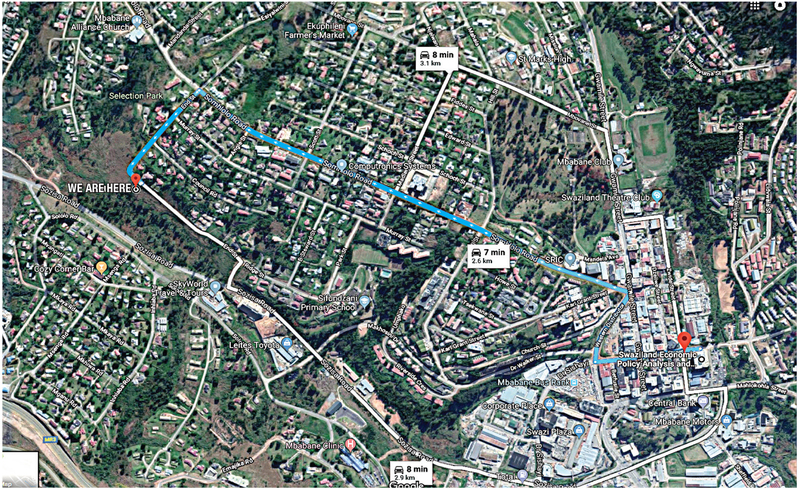 The new offices are located at Plot 874 Mbabane Township, Siphefu Street – follow route past Serendipity/Coconuts Restaurant and further down to Gcina Street. The move reflects the Centre’s strategic intent to be the preferred think tank for quality policy analysis and research that enhances the economic welfare of the Kingdom of Eswatini. “We were fortunate enough to find such an ideal space for our new home. This move is good for our expanding team and list of partners. The new location and enhanced operational efficiencies will help us continue to grow and develop so that we are able to keep pace with the needs of our partners to build sustainable national capacities in economic policy research and analysis,” says Executive Director Dr Thula Sizwe Dlamini. He says the new offices now allow ESEPARC more room to innovate and find new ways to make the Centre’s work more efficient, impactful, and user-friendly. “The idea is to expand ESEPARC’s footprint as the go-to research provider in economic policy,” adds Dr Dlamini. Is Swaziland ready for crypto currencies like Bitcoin?